Don’t Want To Go To Traffic Court? You Might Not Have To! Beat Your Traffic Ticket From Home or Work! 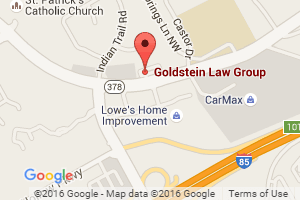 Traffic ticket defense lawyer Sean Goldstein wants to save you time in a busy world. Do you want to fight your traffic or speeding ticket, but you just don’t have the time? Do you have the time, but just don’t want to waste it by sitting in traffic court waiting to fight your ticket? Great news! Traffic ticket defense lawyer Sean Goldstein saves his traffic ticket clients time by appearing in traffic court on your behalf. In most situations, we can fight your traffic ticket without you ever having to appear in traffic court. We are experienced and comfortable helping our traffic ticket defense clients save time by appearing in court for them so that they can attend to their personal and work responsibilities rather than being in traffic court. Are you an out of state driver? Did you receive a traffic ticket in the Atlanta metro area while visiting? Don’t waste time and money driving back to Atlanta to fight your traffic ticket. Once hired, traffic ticket defense lawyer Sean Goldstein will fight your traffic ticket without you ever having to leave your home state. We have helped traffic ticket defendants in the States of Alabama, Florida, Tennessee, North Carolina, South Carolina, and other states far and near fight their traffic tickets without coming back to Georgia for traffic court.